We think the best way to know a car is to get behind the wheel, but the second-best way for our Morris County drivers to find out about the 2017 Acura ILX is to read reviews from the pros. We’ve gathered highlights from four of our top 2017 ILX reviews to give you an idea of what you can expect when you’re in the driver’s seat. We can go over the ILX tech features and other interior amenities during your test drive; until then, we leave it to the pros. A fresh new design, buttery dual-clutch transmission, plentiful standard features, and engaging driving dynamics make a strong case for this entry-level luxer. Looking for a luxury sedan without a high price tag? Consider, the 2017 Acura ILX … a spacious cabin and a nimble feel that make it supremely comfortable for everyday driving. The 2017 Acura ILX offers up a lot of premium content in a car with a premium badge, but without a premium high price. 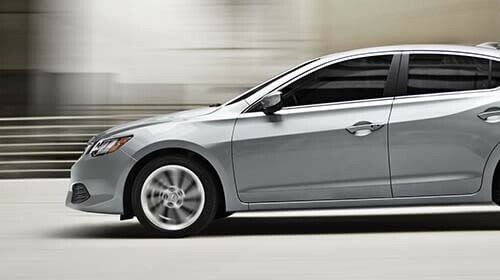 The ILX powertrain's actions are delicate, precise and effortless. The whole package comes off lithe and graceful. The 2017 Acura ILX review we care most about is yours. Yes, Kelley Blue Book, Edmunds, Motor Trend, and Left Lane News are staffed by professional auto reviewers who know cars better than many mechanics, but what matters most is what you think. If you aren’t quite sure which ILX package is right for you, we can arrange for a test drive of each one. Contact Autosport Acura of Denville today to schedule a test drive of the ILX, learn your package options, and see for yourself that it’s possible to drive a luxury sedan that is both elegant and affordable.